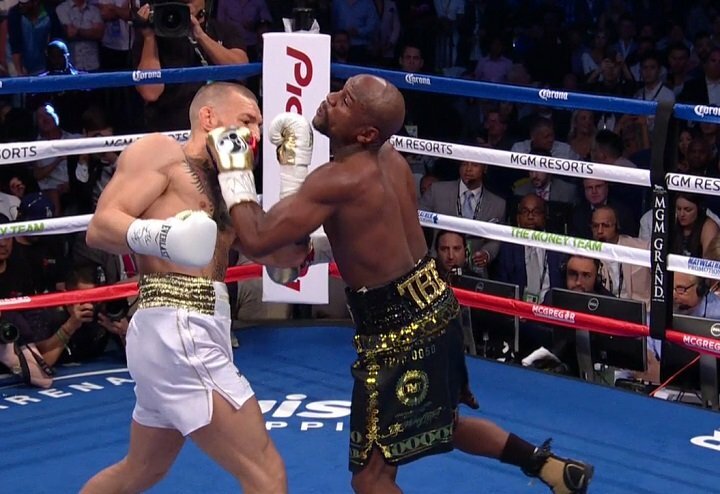 By Jim Dower: Floyd Mayweather Jr. looked his all-time worst last Saturday night in laboring to an unimpressive 10th round knockout win over UFC fighter Conor McGregor in their highly hyped mega-fight at the T-Mobile Arena in Las Vegas, Nevada. For a fight that could break the pay-per-view record for the most buys, it was not a riveting one to watch in terms of action, excitement and boxing skills. Mayweather, 40, looked a slow, over-the-hill fighter. He looked all of his age. The way that Mayweather fought, he would have lost to at least half dozen of the top welterweights in the division. ESPN analyst Max Kellerman says Mayweather would have lost to Terence Crawford and possibly Errol Spence Jr. if he had fought the way he did last Saturday. “There are a lot of young fighters, three fighters at least, who would have knocked Floyd out on Saturday night,” said Kellerman on ESPN’s First Take. “I know he wouldn’t have fought them the same way, but that Floyd doesn’t go the distance with Crawford, and maybe not with Errol Spence. There are a bunch of young guys that would have beaten him up last Saturday night. That’s enough. He’s retiring at the perfect time,” said Kellerman. I think Kellerman is being kind to Mayweather by saying that he would have only lost to 3 fighters last Saturday. I think there are a lot more than 3 that would have beaten him. That’s what makes the Mayweather-McGregor fight so sad. The boxing and MMA fans paid top dollar to see a ring rusty, over-the-hill Mayweather struggle to beat a novice in McGregor. I know McGregor bristles at the label of him being a novice, but that’s what he is. He was fighting for the first time as a pro, and he fought like an amateur. We saw McGregor throwing lots of rabbit punches, and slapping with his shots. After all this time the UFC, McGregor should have learned how to throw a punch correctly. If Brook could still make weight for the 147 lb. division, he would have beaten Mayweather too. Even Khan would have beaten him. Mayweather can’t punch, and Khan would have torn him apart with his speed. It would have been an easy win for Khan. It’s good that Mayweather is retiring. If he stuck around for much longer, he would get beaten. If all Mayweather was going to do from this point on is fight UFC fighters, I still think he would lose. Someone like Nate Diaz would have knocked Mayweather out. The time out of the ring really hurt Mayweather’s skills. Against McGregor, Mayweather was just a flat-footed fighter, who was a mere shell of his former sell. That Mayweather would have been in trouble against the likes of Spence.